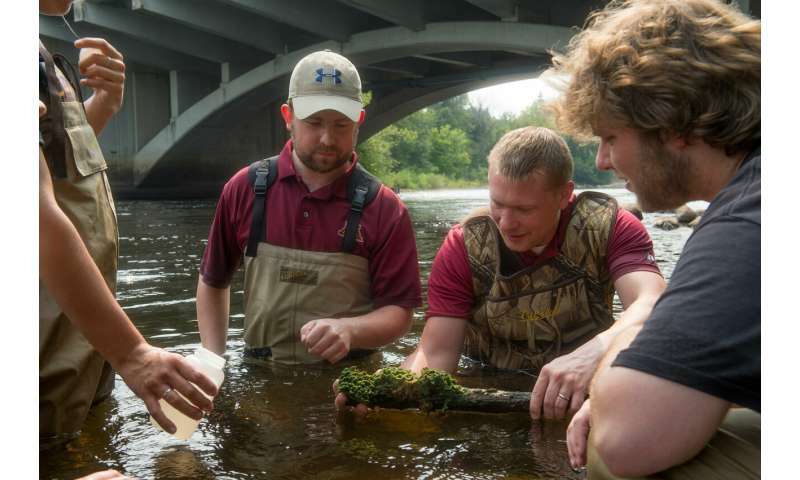 Since 2016, four faculty members—Karl Anderson, Anthony Schroeder, Venuopgal Mukku, and Timothy Dudley (two biologists and two chemists)—have been examining these non-moving invertebrates and what their presence might mean for Minnesota waters. 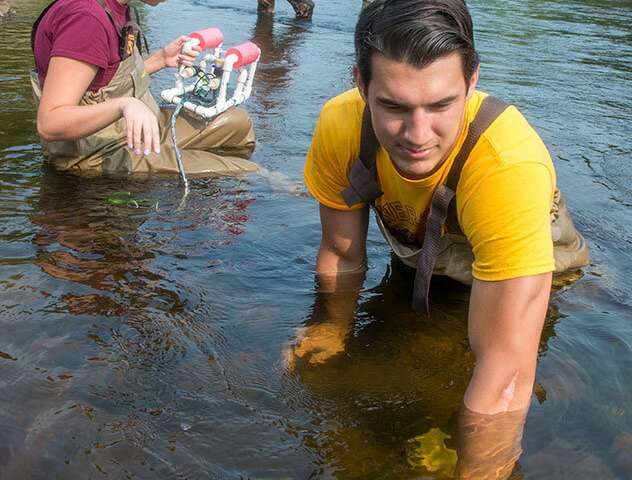 And they've enlisted the assistance of students, including a grad student from the Twin Cities campus and undergraduates from Crookston, to aid in their research. 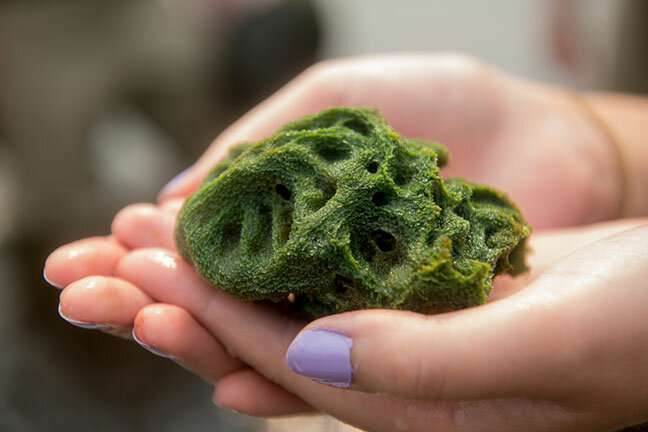 The researchers plan to investigate freshwater sponge species in each of the 10 major watersheds in Minnesota. 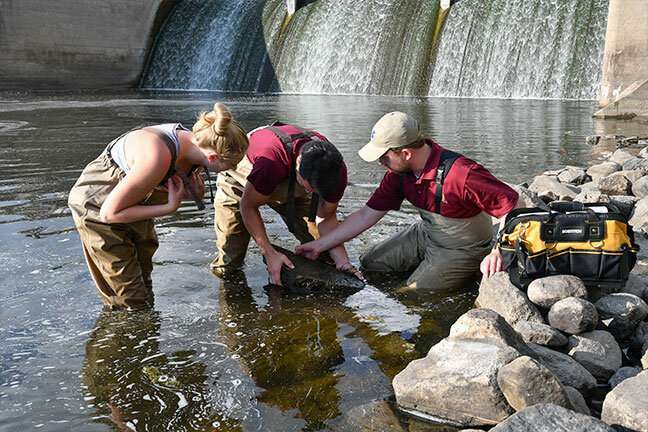 They'll collect sponges from two lakes or rivers in each watershed, identify the sponges, and map their distribution across the state.